The PAX: All PAX welcome! Only a few weeks until the new #CSAUP simply called “Wildcat” is here. We in F3 love a good #CSAUP event and YHC saw that the men of F3 Rock Region have developed a great event called “Hog & Coyote”. While being envious of this event, YHC had been thinking about how F3 Lexington could develop something similar. Basically, its a multi-mile/multi-pain station #CSAUP between the AOs of Hollow/CAT, Ambush, Shawshank, Arena and Surge. Start at one AO, do a 5-10min pain station, run to the next AO, do another 5-10min pain station, repeat until you’ve made the loop back to where started. It’s about a 17-mile loop around the AOs. This can be completed run, ruck, bike, relay or solo. You pick your poison. If you’re interested in the bike option, DM Kenwood and he hill coordinate trailering any bikes along the route. F3 Rock Region encourages their PAX to step out of their comfort zone and push themselves for this event and F3 Lexington will be no different. Again, there are partner relay, solo, bike, and rucking options. Basically, however you want to complete it and be involved there is a way to do it! 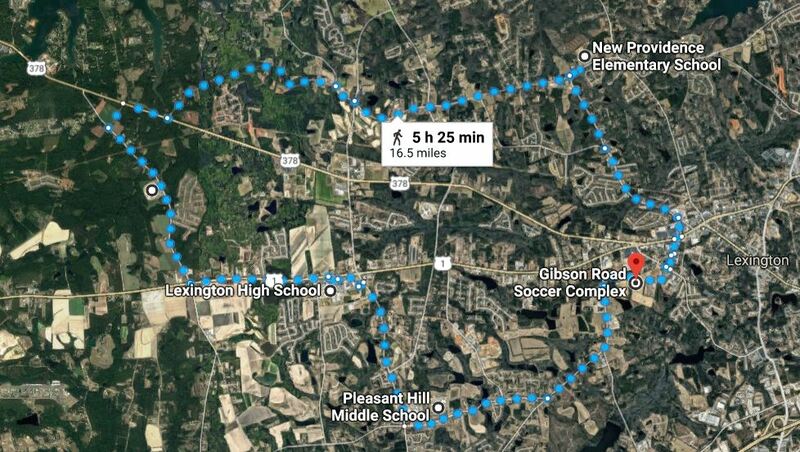 We’ll need some PAX to help out with Q’ing bootcamp stations and we’re asking that each AO along route provide Q’s and at least water for PAX. Also, safety is our utmost priority and so PAX will be required to have blinky lights, headlamp and cell phone while participating. We also want all PAX to have a “battle buddy” on the transitions between AOs – we don’t want anyone left behind without help. Keep healthy and we’ll see you for the Inaugural #Wildcat2018 12/01/18.